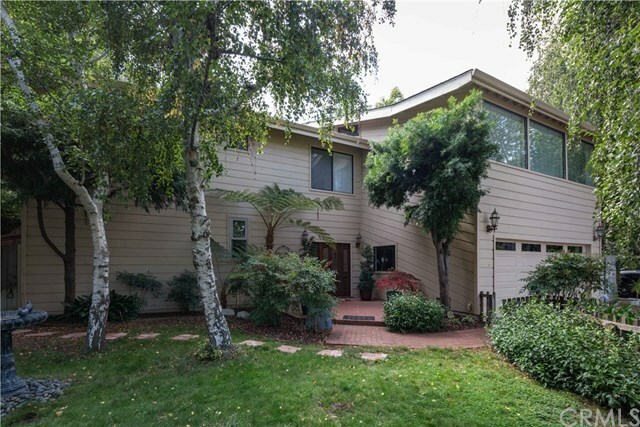 Wonderful, well-maintained 4-bedroom family home on a quiet street in an established SLO neighborhood. Beautifully landscaped with a usable, private backyard with generous decks backing up to open space. This spacious custom home is perfect for entertaining with a huge kitchen and gracious dining and living spaces with sweeping, wood vaulted ceilings. Grand living room boasts a handsome fireplace and large picture windows with a view of Madonna Peak. Fantastic main-level layout includes 2 extra bedrooms and a master suite with a walk-in, cedar-lined closet. Large, airy bonus room with a balcony and 4th bedroom is a wonderful retreat. And, donât miss the âman-caveâ tucked away downstairs! This home is definitely one to see in person to fully appreciate. Close to shopping, restaurants, schools, hiking, biking and just minutes to downtown.